Supposedly, Trados 2007 (the last "classic" version of Trados) does not work with Word 2010: since Office 2010 was released after Trados 2007, Trados does not detect the new version of Office. SDL, however, provides a workaround. I have tested the fix with Word 2010 on a Windows 7 64-bit Ultimate machine, and it does work, as you can see from this screenshot. The workaround is neither guaranteed nor supported (as the SDL article makes clear). But since it seems to work, it might extend Trados "classic" usefulness on newer machines. Make sure that Trados, MultiTerm and Microsoft Office (Word, Outlook, etc.). Find the file Trados8.dotm in the folder C:\Program Files\SDL International\T2007\TT\Templates. Find the file MultiTerm8.dotm in the folder C:\Program Files\SDL\SDL Multiterm\Multiterm8\Templates\. If the folder already contains a MultiTerm8.dotm file, overwrite it. Start Microsoft Word 2010. You should now see, and be able to use, Trados's Workbench or MultiTerm from Microsoft Word 2010. I've updated this post, adding the above detailed instructions, since the link to SDL's article was not working properly. Thanks for the post. I recently download the trial version of Trados, still in the process of discovering the software feature. Thanks for the suggestion. However, when I click on the link, I get an empty page and the URL in the address bar changes to "http://talisma.sdl.com/sessiontimeout.aspx". Could you please check? Pablo, Riccardo: go to talisma.sdl.com and in the search field in the upper left corner type 3359 - that opens the article in question. I've noticed another issue with SDL Trados 2007 Professional and Microsoft Office 2010 Professional Plus. At the moment, I'm translating fairly simple doc files (doc, not docx). I'm unable to move to the next segment with the standard shortcut of Alt+Num+. It simply does nothing. As a workaround, I use Alt+End, Alt+Home, but that's rather inconvenient. Have you encountered such a behaviour or have any idea how to ger rid of it? I checked the keyboard shortcuts in Microsoft Word, and Alt+Num+ is assigned to the appropriate Trados function - but it doesn't work. I've updated the post, with detailed instructions, since the link to SDL's article did not work properly. I'm going out on a limb here, but maybe that shortcut is conflicting with some other shortcut. I haven't tested this past seeing that the Trados ribbon worked and that by clcking on the various Trados icons Workbench worked as it should. I haven't, as yet, tested it more throughly. A workaround that comes to mind is to remap that function to some other key combination, see if it works with the other key combination, and, if it does, try to remap it back to Alt+Num+. Thanks a lot for updating the article. Unfortunately, I tried this some time ago and didn't work. :( It gives me a compilation error - I read that this workaround doesn't work if you have the 64-bit version of Word 2010. I am running a 64-bit version Windows, with Office 2010 (32 bit) - and the workaround seems to be working for me. A pity that SDL won't make the effort of ensuring that Workbench works with the latest version of Office, considering that most translation companies still require Trados 2007, and not SDL Studio 2009.
this solution worked for me on Windows 7 (32 bit) and Office 2010 (32 bit) system. My only issue with SDL Trados this software does not have version for Mac users. I am a bit tired of PC. Thank you so much. This worked for me too and saved me many hours of tearing my hair out. Your instructions were very clear and extremely helpful. Your blog is very helpful to solve the trados toolbar for Ms Word 2010. Really thankful! I have a new problem with Ms Word when I hit the Trados Tool for translation. > Wrong number of arguments or invalid property assignment. Do you have any solution to solve this Ms Visual Basic errors? Pls help me if you can. Thank you! I experience the same problem as Jenn here. Would be most thankful for a solution. perfect RSchiaffino, you really have Great blog by the way! Which licence do you mean is to be deleted? And I have the feeling that I do not have Visual Basic installed at all?! Which versions of Microsoft Visual Basic is the right one for Windows 7 and MS Word 2007 or 2010? As regards Visual Basic, I think the necessary file should be installed by Trados during installation... but I'm afraid I have no idea how to solve the Visual Basic error message (Office 2010 after all is not officially supported by SDL for Trados 2007). that seems to mention the issue - but since I have not experienced this particular issue myself, I cannot say if it works in all cases or not. it perfectly works for me. Thanks so much for this post! Thank you for the info. I am trying to get my Traods 2007 and Word 2010 (Windows 7 home edition) to work but I don't seem to have the folder C:\User\UserName\AppDate\Roaming\Microsoft\Word\STARTUP any suggestions? I don't have a roaming folder at all. It's clearly explained on SDL tech support, that SDL Trados is uncompatible with 64-bit version of MS Office 2010. The only solution is to reinstall MS Office 2010 using 32-bit version. Then all workarounds for dot/dotm will start working. Did you find a solution? I have the same problem... WB started manually but this message shows up. These are excellent instructions. But if this doesn't work for you(and all else fails), just REMOVE Trados completely, then RE-INSTALL again. Be sure to return the license key before you do that, if you have no extra key available(you can check liscense status at 'My account' page at sdl.com). In my case, copy & paste Trados file in Word folder worked when I tried on previous Word versions, but not on Word 2010. After getting so many error messages(arrgghh!! ), I just removed and reinstall Trados and it worked like a charm! (oh, and after re-installing Trados, make sure to check 'options' - 'show hidden text' so that you wouldn't panic that source text 'disappeared' in unclean file). Good luck, everyone! Translator's workbench doesn't start automatically. You have to do it yourself. Just click 'Workbench' icon and it'll appear. Translator's Workbench is the standalone application which you use to open the TM, and that Word interacts with. It needs to be open for you to be able to use the Trados functions in Word. Just open it from the Start menu, and open a TM in it (.tmw file). Your post has been so useful for me, thanks a lot! I don't think there is a trados9.dot word. If you read the article you'll see I was speaking of trados8.dotm - which integrates Trados 2007 with Microsoft Word. SDL Trados Studio 2009 does not work, as Trados 2007, by integrating with Word, so no need for a specific template for it. Thank you so, so, so, so much! Thanks to you I've got Trados 2007 working with Word 2010 and I can finally get back to work after a day of tearing my hair out. Strictly speaking it should be up to SDL, or the agencies we work for (and who more or less force us to get Trados), to provide these instructions, but unsurprisingly they don't care enough to do so. It's left to individuals like yourself to take the time and effort to help the rest of us, and although that's not how it should be, I am extremely grateful! You are welcome! To be honest, as I mention in this article, my instructions are drawn from an article in SDL's knowledge base - but generally speaking I agree that SDL's documentation is sorely lacking (especially as regards Multiterm's). I just joined to the happy ones: I followed your instructions and everything worked out perfectly - now I can continue using Workbench with MS Word 2010 in my new computer. Your help was very valuable as many customers of mine still work with bilingual Word files and require them on delivery. Thank you so much for your help! I just updated my computer, but am still running Trados 2007 in conjunction with Studio 2011. I am aware from the SDL Knowledge Base and from your blog, that this workaround does not work with 64bit Word, but cannot help wondering if there has been any new development, as in some tech-savvy person who has developed a template file that works with 64bit Word? Are you sure you have 64 bit word? I'm asking because when I updated my computer (to a new Windows 64 machine), the version of office that came with it was still 32 bit - so Trados 2007 could work with (almost) no problem with Office 2010. The way to check in Word 2010 is to go File > Help > About: on the right you'll see information about the version of word (including whether it's 32 or 64 bit). If you do have a 64 bit version of Word, I believe there is little than you can do ... apart installing a different one. With Office 2010 you can have two versions of Office side-by-side on your computer, so you could install Word 2003 and still keep Office 2010 (though i believe it would be better to install first the older version and then the newer one) - so long as you keep the different installations in different folders. Thanks for your speedy reply. Yes, I do have the 64 bit version of Word, but I am now considering "downgrading" to the 32 bit version so I can run Trados 2007 which is the program I am more familiar with. During my research, I came across the SDLXLIFF to Legacy Converter which is available on the SDL Open Exchange website (http://www.translationzone.com/en/openexchange/AppDetails.aspx?appid=194). With it, you can convert any SDLXIFF file to a segmented Word file. It works, I tried it out. In order to make Word 2010 working with Trados, you have to activate "all the macro" in the menu "developper", and then it works. I did it and everything is fine, I have now a menu called "complement" which is Trados. Thank you for this page which helped me to solve this problem. I was able to find the Trados8 file as instructed, unfortunately, the file path [USERNAME]\AppData\Roaming\Microsoft\Word\Startup\ does not seem to exist on my machine (Windows 7 32 bit with Word 2010 32 bit). I can get to Roaming\Microsoft but at that point there is no "Word" folder, only "Internet Explorer" and "Windows". Is there another way to find the \Microsoft\Word\Startup\ file path? I was unable to find the Trados8 file as well, but the file path indicated above does not exist in Windows 8. Does anybody have any tips about running SDL Trados 2007 on a Windows 8 platform with Microsoft Word 2010 (32-bit)? I haven't tried to use Trados 2007 with MS Word 2013, but I'm not surprised if Trados 2007 doesn't work with Office 2013: after all it's a program that was last updated about six years ago, and if it relies on features of MS Word that have been changed in the last version, then it won't work any longer. As far as i know, Studio works without problems with MS Word 2013 files. 1) If you have a computer with Windows 7, install XP Mode (I believe it is still available from Microsoft). If you are on Windows 8, or in any case if XP Mode is no longer available, procure a copy of Windows XP, then install it on a virtual machine on your computer (there are several different programs that permit you to install a virtual machine - but you have to provide the operating system to install on the virtual machine yourself). 2) Once you have your virtual machine up and running (Windows XP mode, or another virtual machine, install in the virtual machine your old copy of MS Office (up to Office 2010 - but Office 2003 would do perfectly). 3) Install in the virtual machine Trados 2007. Depending on the virtual machine, the installation might go without a hitch, but in case it doesn't, I believe that SDL support should be able to help you (SDL support is available free for installation and licensing problems). A (perhaps) simpler alternative would be to use TagEditor (even without the preview) for customers that really insist on old-style Trados, and to use SDL Trados Studio (a much better program) for all other work. Thank you very much for your prompt response (and for this blog). I have Windows 7 and I will stick to Tag Editor for now (rush translating...:) I will however explore further Studio 2011, as the software doesn't seem to have installed a toolbar or a menu in Word or elsewhere. The good thing is that I know where to ask my questions now! Studio 2011 doesn't install a toolbar - it's a standalone program, and looks completely different from Trados 2007 (or from Tag Editor). 1) Mats Linder manual (you can purchase it from SDL's Open Exchange) - it is much better than SDL's own documentation - you can find it at http://www.translationzone.com/openexchange/app/sdltradosstudiomanual-380.html?c=31933#31933. 2) Paul Filkin's Multfarious blog (http://multifarious.filkin.com/). Paul is (by far) SDL's best resource: always helpful to translators (he spend a lot of time answering support questions on ProZ, for example), and very knowledgeable about SDL's tools. Good answers from Riccardo... the only thing I'd add is that if you have installed the 64-bit version of Word as well then this would immediately cause you a problem. This is a problem for many Word plugins that have not been made 64-bit compatible and Microsoft themselves will recommend you use the 32-bit version of Office (on a 64-bit system, so this is fine) if you have any old toolbar plugins that you need to use regularly. If you already have a 32-bit version installed and it doesn't work then it may be that Office 2013 is a step too far for a product this old. Trados 2007 is already not supported anymore, and the Suite version (that is sold with 2011 as an option) will be the next to go. Certainly we won't do any more work on it to ensure it works with the latest versions of Windows and Office... so in Office 2010 32-bit edition it all works fine... but I really have no idea about Office 2013. The solution, if you have to use Word bilinguals would be to create them in Workbench and then translate them in Studio... so don't use the Trados toolbar in Word at all anymore. I guess the solution if you want to continue having access to a Trados toolbar in Word solution is keep your old computer when you buy a new one or don't upgrade Windows/Office or keep a machine running the older Windows and older Office versions (or even install a Virtual machine for this). Having said that there is bound to be someone who figures out a way to make it work, there always is... so perhaps try the ProZ forums, or TW_Users as there are many experienced users who regularly upgrade their computers but still manage to work with the older tools! Hello, is there any similar tactic for Trados 7 with Office 2007? I don't have Office 2007 on my computers, but I believe this should work about the same with Trados 7 and Office 2007: Office 2007 already used the .dotm files for the macros. Hi, I have Windows 7 and MS Word 2010 and I am trying to activate SDl toolbar in it. I followed these steps up 4th. In Word 2010 I can see the toolbar but options are not active. The original problem is that I can't find that SDl Multiterm folder. When I enter SDl International there are only SDL Trados Synergy 2007, SDLX, T2007 folders. I've searched in those folders for that Multiterm folder and couldn't find it to reach the 5th step. C:\Program Files (x86)\SDL\SDL MultiTerm\MultiTerm[x], where [x] is the number of your MultiTerm version (MultiTerm8, MultiTerm9, or MultiTerm11, for example). Hi, I recently installed Office 2010 and I was able to upload Trados. The thing is that the Trados toolbar does nothing whenever I try to open a segment or do some other thing and I just get the error sound. Could anyone help me please? Thanks a lot! Sorry for the (perhaps silly) question, but... in addition to installing Trados (and successfully getting the toolbar). Did you also launch Workbench? Because what you describe sounds like you have opened Word, but not Trados workbench. Just to say, you saved my day! Your tip also works with Office 2013 on a Windows 8 PC. That's cool. good solution for people who have newer machines and want to use both software packages. I would not have immediately thought of setting things up to work like that. I do not have MultiTerm8.dotm ... anywhere! Can someone please give me a link to it? or send it by e-mail to iarsene@yahoo.com? The same problem as Arsene's I do not have MultiTerm8.dotm anywhere - just MultiTerm7.dotm I copied it and a toolbar appeared and the buttons are active, but when I press the button I see an error (33353) end of paragraph not found -message in the translator's workbench. if the MultiTerm8.dotm is needed to avoid this problem, could anyone please send it to snake_oleg@ukr.net? Trados8.dotm works ok with Trados7, Office 2010 32 bits and Windows 10 (it will not work with a 64 bits-version of Word) - After many hours of googling and reading all these posts here and elsewhere, I found that it is still possible to work with Trados 7 :-). Good old Trados 7 that is simple for Word documents translation and avoids all those packages and projects concepts of modern tech translations in columns :-) - Good old fashion translation where translation knowledge counts more than code-related issues for the Web reader is still possible. And yes, even works with Multiterm 2014 integration! For details or help on this contact me on mfcmachado[at]hotmail.com. By the way, so that you don't think I am old that old fashioned. I do use Trados Studio 2014 and MemoQ2014 R2, but only when I have to for Web projects. 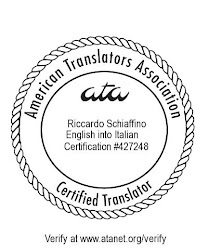 I DO NOT like working in columns - not sure who really does but no one asks translators opinions anyway... Techis decide and we the translators have to be like sheep and bow. So for clients that "only" want good translations in plain old Word formats, it is still possible to use the simple Word interface with Trados and make good use of a Multiterm database.